Explore the galaxy, gather supplies, and survive in Last Horizon, a brand new unique Android game. Your civilisation is dead and your planet is drained of all resources so you leave searching for planets to plunder, while trying your very best to not die. The full version 1.0.3 of Last Horizon APK is available for free download on Apkradar so you can try it before you buy it! Now go find you a new habitable planet to live in! 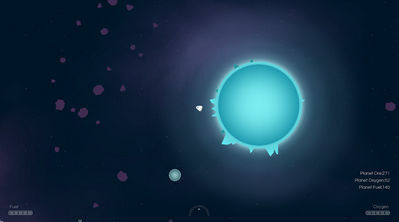 - Procedurally generated planets and arrangements, no two gameplay sessions are exactly alike. 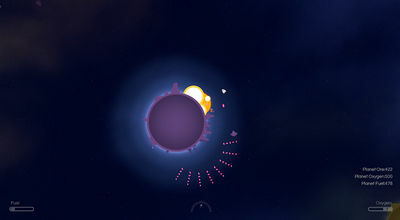 - 4 game modes : First 3 [ Flights A, B & C ] have the planet positions relatively similar, Flight X is a new and vastly different arrangement every playthrough. - 1+ hour of meditative background music. 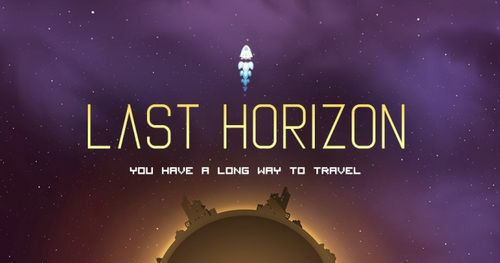 - Download Last Horizon v1.0 APK below and have fun! 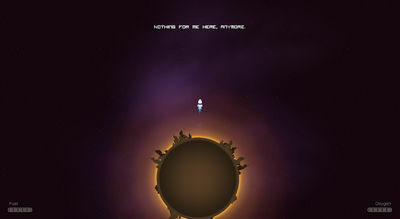 You leave your obliterated planet in a single rocket, heading out for a new home and gathering supplies along the way. You're flying from planet to planet, trying to keep up your fuel and oxygen resources long enough to find the necessary biological resources in order to make your new home a habitable planet. Last Horizon is about survival so can you survive?! A similar game would be Out There that's about managing resources and surviving encounters in randomized galaxies. Controls now stay visible by default! Don't worry, you can disable them in options. New Homescreen Buttons for Google Play Game Services!